I lived in South dorm and East dorm at Harvey Mudd College. Like any good Mudder and Southie, I learned to ride a unicycle. 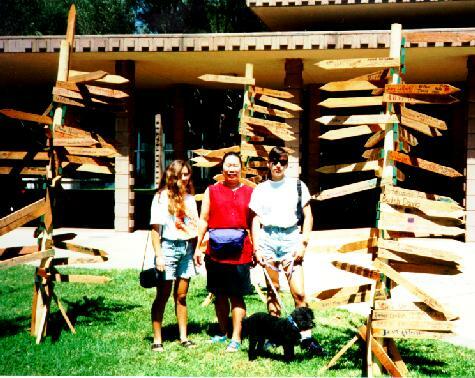 This is when I first arrived at Harvey Mudd College, August 1994. 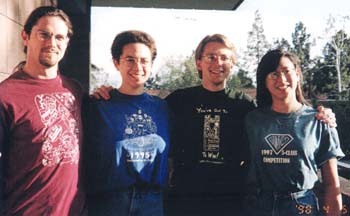 These are the frosh arrows for the class of 1998. That's my sister, mother, dog, and me. You can see some of Mudd's trademark warts across the top of Platt. 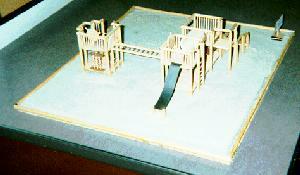 A beautiful model of my E4 playground. 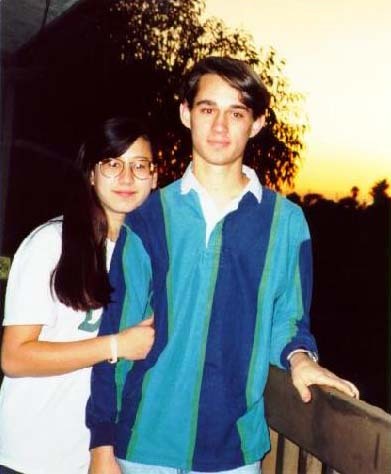 Spring 1995. Brian and Rob, two of my suitemates. Ted was my third suitemate in South Proctor Suite, 1995-96. This is after one of our concerts with the Claremont Chamber Orchestra and Concert Choir. 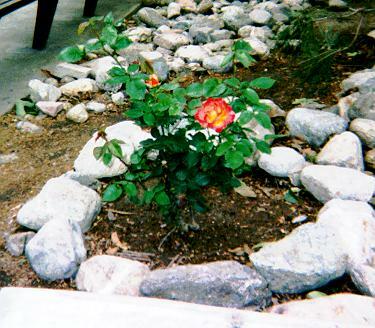 This is the rose bush I planted in East courtyard January 1997. It is a "Perfect Moment" rose. Tarah and my whiteboard full of beautiful animals in East dorm! Talents of many, including Zeke. 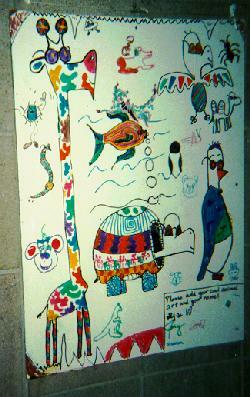 Spring 1997. 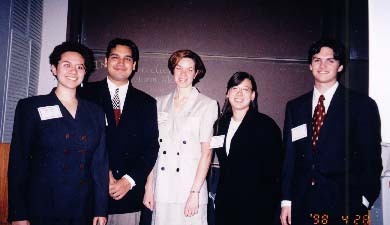 The Sensory Overload graduates, 1997. Carl, Wendy, Russ, Brian, Jeremy, Kevin, Frank, Craig, Sarah, Dan. 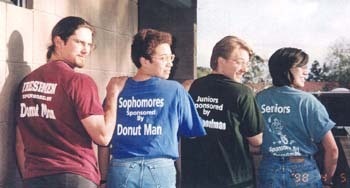 Class of 1998, sponsored by DonutMan. 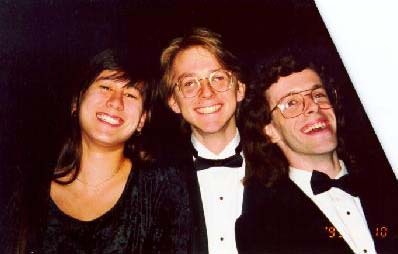 John, Tarah, Brian, me. A final picture of North Field, and the mountains in the background. Fall 1996. A visit back after graduation finds the Linde Activities Center, on North Field. 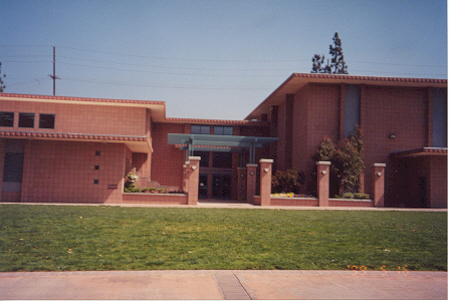 May 1999.